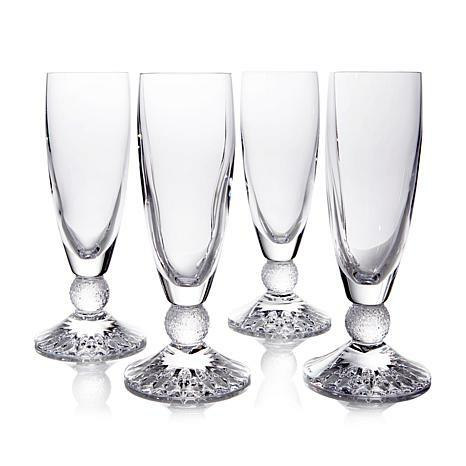 Whether you're mixing martinis in high heels or serving sandwiches in sandals, these elegant champagne flutes will bring a playful elegance to your table. The subtle curve of the flute descends to a diamond cut ball stem and a sleek foot with deep, underneath wedge cuts. 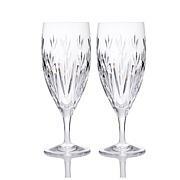 These flutes are a perfect way to cap off any party, casual or otherwise. Toast to good friends and your health; they'll toast to your good taste. 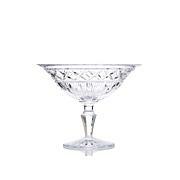 This was the perfect addition to my Waterford collections. I also got them at an excellent price. These are beautifully designed and love that they are weighty and will not be easily tipped over. 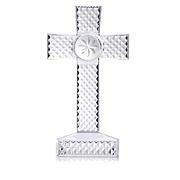 Mark of excellence from Waterford. 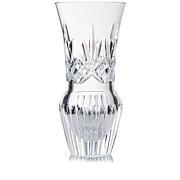 This is a one of a kind crystal flute glasses set,and I couldn't be more please about this product its unbelievable beautiful!